Yes! It’s an ongoing battle between the Protectors and the Hackers. 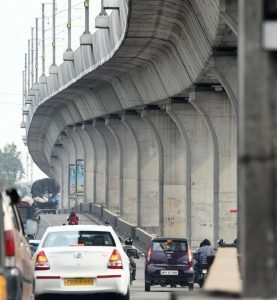 With the standards out, we seem to be in good hands.The Eco System is getting safer and it’s time we harness Connected Vehicles for the Good Cause! Every Vehicle has a NOx sensor in the Exhaust Manifold of the Engine. This sensor takes data of Exhaust Gases and sends to the ECU, where it’s utilised to finetune the combustion process and align it to the Catalytic Convertor Properties. In short we have the data on quality of emissions right at the vehicle level. We can get this data to a cloud. In an ideal world, if all vehicles send their emissions data to the cloud, we can get to know which ones are polluting and by how much. We don’t need the feet on the street to physically inspect and penalise. This becomes even more important and relevant due to the complete failure of the existing PUC Network with dated or malfunctioning equipments , where you just need to pay Rs 100 as bribe to get all vehicles passed as Green! First step can be to get all these PUC Outlets online, Get their data on a cloud, So that they know they are being watched. They have a camera for Car Reg Plate scanning, have one on the PUC Guy’s head too! So, whenever any car flouts the emission norms, we know it, without actually testing it physically. We don’t get limited by enforcement agencies, Manpower Shortages to reign in the polluters. First Warning, Second Warning, third warning, ticket Issued! While the warnings are issued, we can also automatically suggest Service centers or PUC Centers where the customer can/has to go to fix it! All Service Stations should have portable and basic PUC equipments. 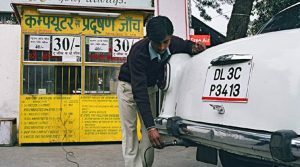 It should be mandatory to get PUC done during Vehicle Service, or it wont be counted, Bill wont be issued, Gate Pass not generated without this item. We can always work out the metrics. We need ‘will’ to make it happen. Vehicles get serviced, what about the DG Sets? 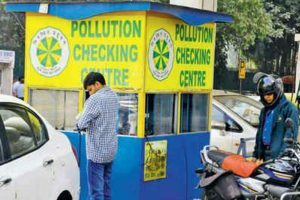 The DG ( Diesel generators ) Sets at Hotels and big commercial establishments get audited by the state pollution Control Boards. However that too is a grey area. What about the DG sets in other smaller commercial and residential areas. You can control only if you have data! So each DG set gets an IoT makeover and begins to send its emission data to the cloud ie the Govt Control Room. As mentioned, the Competent Govt Authority issues warnings and then a challan/ticket. The vehicle needs to visit the nearest PUC and get it fixed. Now the Vehicles can fail PUC results as they are all connected and Big Brother is watching. So PUC centres would begin to show up the “Real On-Ground Position”. Most vehicles would begin to fail the Emissions Test. They would need to go to a service centre for tune up and Engine Cleaning. Likewise, The DG Set needs to be serviced too. Discontinuation of sending data to Control Room needs to be a deemed offence ab initio. So you cant tamper the transmission. People might cry foul, they might say its tyranny, Excess of Policing, but you need to clear the air and for that, simply do what it takes! 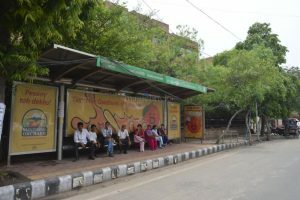 What we need to do is a pilot with the Govt Vehicles, Public Transport and Govt Establishments and evaluate the impact. These shall be the low hanging fruits before we can go all out! This needs to Stop! Lets harness tech for this! 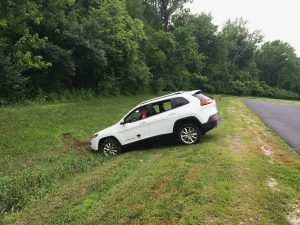 6.Bad Road & Structural Design – Well this deserves a completely new Post! 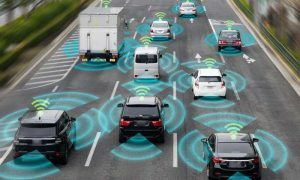 Now lets nail the aforesaid points with Connected Vehicle Tech ! Drunken Driving and Overspeeding create distinct driving patterns of speed, braking, steering movements. These can be sensed by ECU with the help of an AI enabled software and trigger Notification in terms of an SMS or an automatic Call if the vehicle has an on Board Sim card / GPS. Coming to Non genuine Parts and Non Serviced Vehicles. Whenever there is something not right in a vehicle, the MIL – Malfunction Indicator Lamp ,turns on in the Instrument Panel. There can be several Digital Trouble Codes – DTC generated by the ECU when the vehicle is not in proper health or something has been tampered with. The car app can receive much more accurate DTCs from the ECU and give precise reasons of Malfunction. For Instance the MG Motor’s App as well as the Honda’s App can be used to scan the Car Health. Likewise for Distracted Driving. In the Ford Synch it encourages the driver to immediately connect the phone to the car, so that it can route the calls through handsfree and also read out the messages if required. 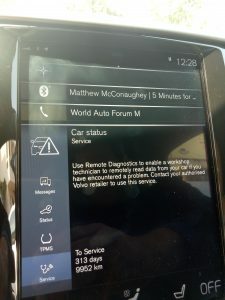 Features like these are common in Connected Vehicle Tech. There can also be a feature that the Driver’s phone or connected phone shouldn’t be used for texting while driving. Honda had launched Honda Connect App more than 2 Years back by which you can sense the Engine Health amongst many other things. 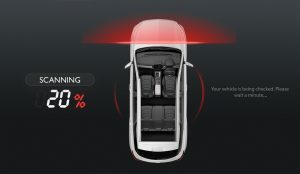 Hyundai recently unveiled the BlueLink and MG launched Next Gen iSmart which can also help us scan the vehicle Health. Most Luxury car makers in India offer Remote Diagnostics (RD) for their cars. For Instance Volvo offers RD to their customers , right from the Central touchscreen Head Unit. The Volvo Dealer Service Personnel can remotely diagnose the car by reading its data and try to offer relevant and focussed solutions along with the Roadside Assistance team. 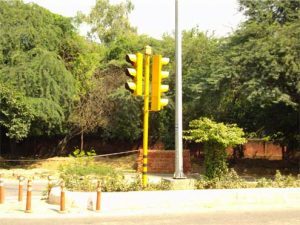 A lot of vehicles get into accidents due to dysfunctional Lamps. Most vehicles drive on highways in High beam causing mutual inconvenience due to high glare. The lighting system can also trigger notification on malfunction or on consistent usage of High Beam! Is it that difficult ? For more than a decade, all employees at BP , as a ritual had been downloading their Official Car’s GPS data in a pen drive and sending to their Safety Officer at Mumbai Head Office for analytics. Now the Pen drive might have gone away, as all company cars would be tracked in realtime for Safety. Initiatives like these have helped BP sustain Best Captive Safety records in the Corporate World! How many times have you felt helpless in explaining a Police vehicle or a fire Brigade or an ambulance ie any emergency services vehicle, WHERE TO REACH ! A lot of precious time gets wasted in explaining the location which leads to loss of life and property. SO whats the Solution. 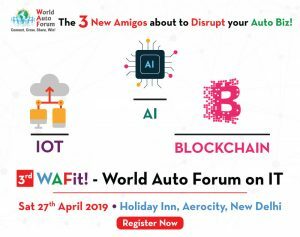 Well we at World Auto Forum call it Aadhar 2.0 ! for its importance and the urgent priority of making it ubiquitous! 1. Each Unique Code linked to the fixture’s Geo Location Coordinates. 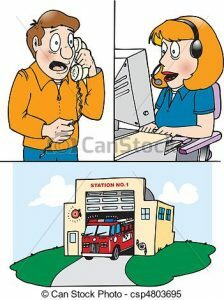 In an emergency, just tell the code of the nearest Fixture to emergency Service vehicle and they can put it in their Hand Held device and simply Navigate. Precious time is not wasted in locating victim or Accident or hazard site. Now the Onus is on the Emergency Services Vehicle to reach you. There should be a camera installed pointing to the road with reg no scanning capability. There should be a fear in people’s minds that they can be very easily booked for obstructing an ambulance. You block an Ambulance, you get a ticket/challan via SMS within 5 min! Hail the Connected World! 3. Dealers who sell them. 4. Consumers and additionally some rebates in Insurance and Service Costs. 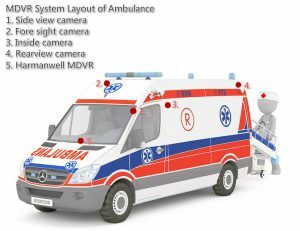 It is imperative for the Govt to incentivise these equipments excessively as they save lives. The country loses 3% of GDP each year due to road accidents, which works out to US$58 Billion ! Even if the Govt works out a Connected Vehicle SOPS Package of 2 Per cent of that value, it can have a HUGE IMPACT! Lets Take this Dialogue to Action together ! Anuj Guglani CEO World Auto ForumAn Engineering Graduate from Nagpur University and an MBA from IIT Delhi, he also has an LLB degree from Faculty of Law, University of Delhi. 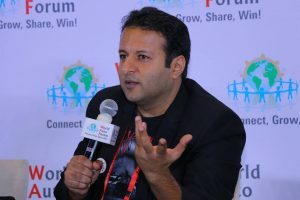 Anuj is the CEO at World Auto Forum since 2008 which connects the Auto Industry in 125 Countries. He has also been CEO of ACE at Work – a consulting firm for training, strategy and SOPs for auto makers & dealers across the world. He is also the founder of MotorUncle.com – A Web app for the confused Car Buyer and Hassled Car Service Customer. He is also the head of an NGO called Citizens for Better India that empowers women, children and senior citizens through Free Legal Counselling, Road & Traffic Safety, Woollens Distribution Drives during Winters. He has worked with Honda Cars and General Motors across Channel & Institutional Sales, Product and Retail Sales training.